The Earth is going to see a lot of earthquakes in 2018, claims an ominous new report examining the slowdown in Earth's rotation. We are likely to see a huge increase in the number of strong earthquakes around the world in 2018, claims a startling new study. 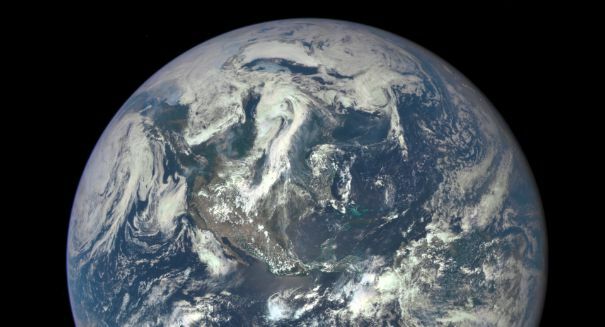 The findings, which were unveiled at the annual conference of the Geological Society of America, are based on the periodic slowdown of Earth’s speed of rotation around its own axis. Roger Bildham of the Univerity of Colorado and Rebecca Bennic of the University of Montana were the two principal researchers on the project, and they argue that the correlation is “intense” between this slowdown and an increase in earthquakes. They analyzed earthquakes that were above seven degrees that have happened since 1990, and they saw a higher frequency of severe earthquakes at about 25 to 30 per year in some years, and only around 15 or so other years. It shows that when the Earth’s rotation slows somewhat, it gives a five-year warning for future earthquakes, and it has been four years since Earth startewd a slowing cycle. “The correlation is clear. earth gives us a five-year warning for future earthquakes,” said Bilham according to a Weekly Observer report.